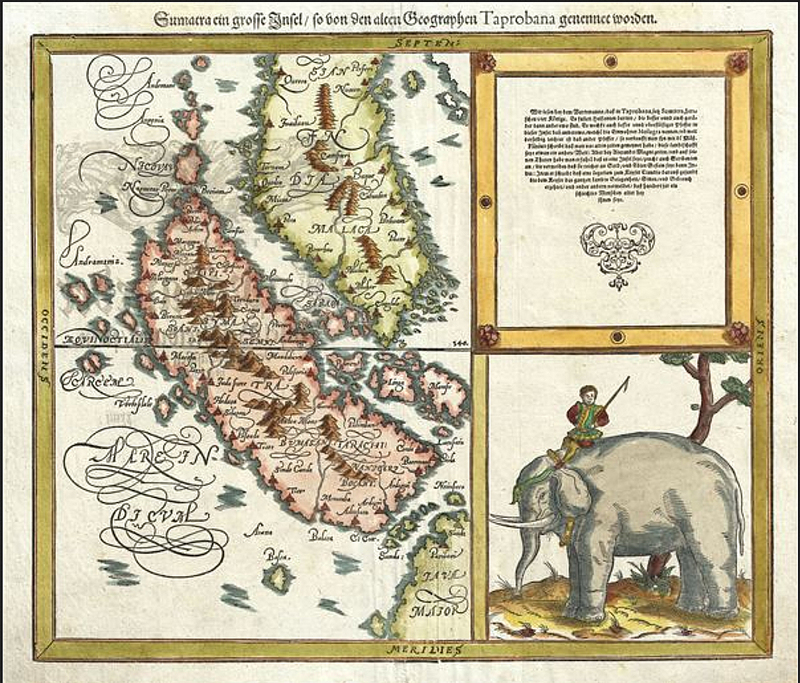 When Marco Polo visited the island Sumatra in 1292 he recorded its name as Samarcha. Much of the population had already converted to Islam by that time. But nearly three-hundred years earlier the “King of the Land of Sumatra” (Haji Sumatrabhumi) had sent an envoy to China in 1017. And long before that it was known as the Land of Gold, because of the mines in its highlands. And before international jetliners, it was about as far away as one could go, the very edge of the earth, and as exotic an alien world as ever visited by Westerners outside of science fiction. 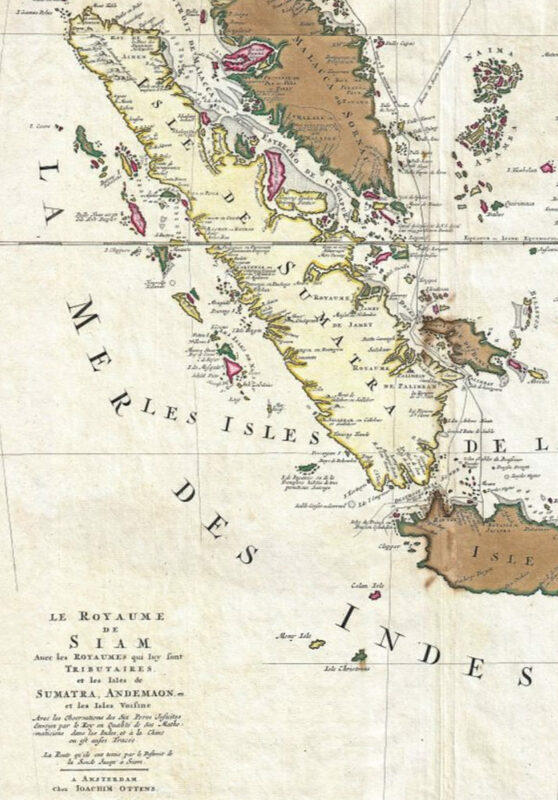 Below is a section of a much larger map of South East Asia from 1710, with an example of the wonderful detail. Until well into the twentieth century most of the Sumatran interior was dense rain forest jungles. Over 50% of its natural forests have been removed for farming and human population requirements. The result is the serious endangerment of its many native species, like the Sumatran tiger and the newly discovered the Tapanuli Orangutan, the first new member of the Great Apes in almost a century.